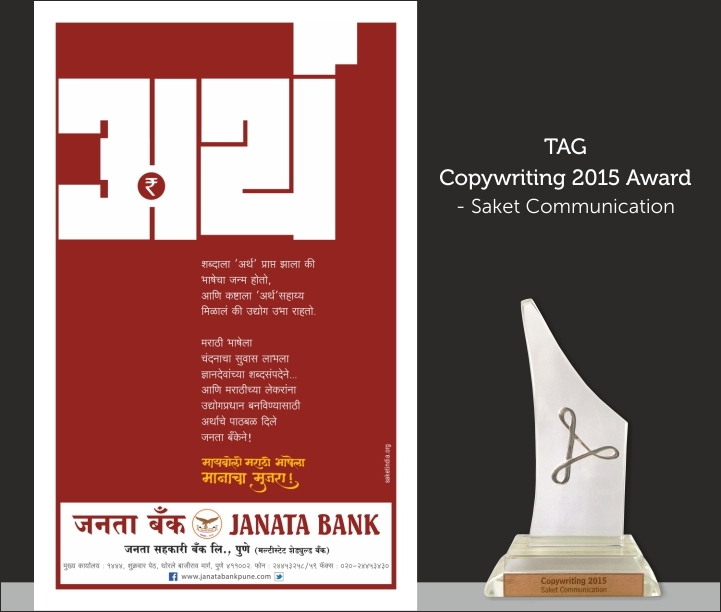 Saket Communications wins 3 TAG Awards in 2015 – Saket Communications Pvt. Ltd.
TAG Awards, presented by The Active Group, have been recognising the most creative advertising campaigns in Pune for over a decade now. 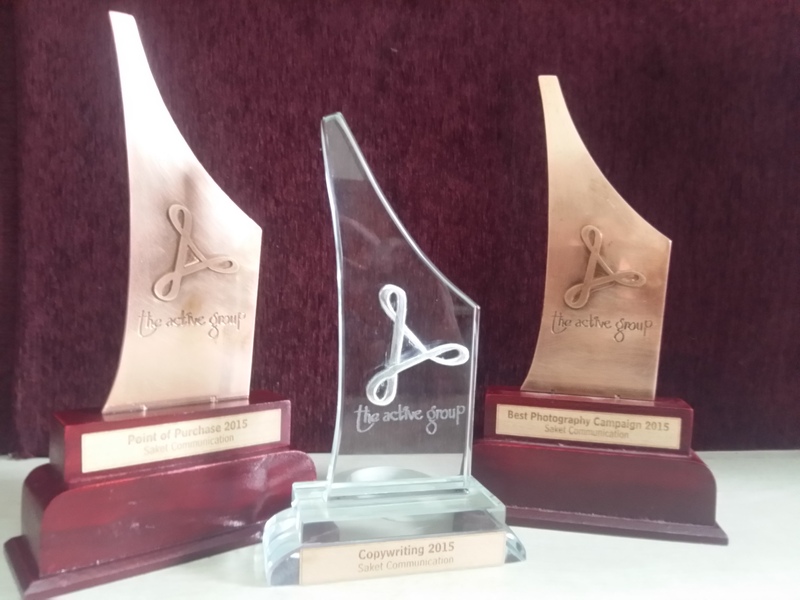 This year, Saket Communications won 3 awards in different categories. The two categories which are awarded are Silver and Bronze! We would like to thank TAG for this recognition. Also, would like to thank our esteemed clients and other professionals who made this happen… and lastly – Team Saket – You always rock! For more such beautiful designs why don’t you take a moment and visit our site! 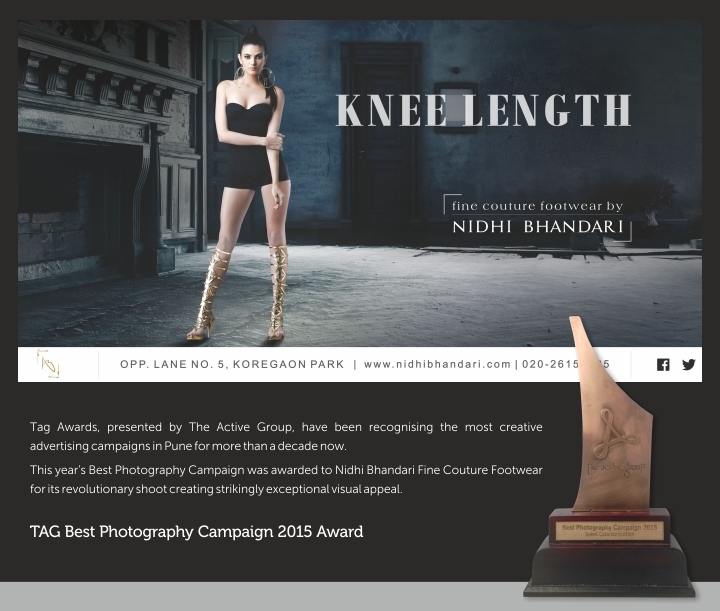 Pingback: Nidhi Bhandari – Putting Your Best Foot Forward | Saket Communications Pvt. 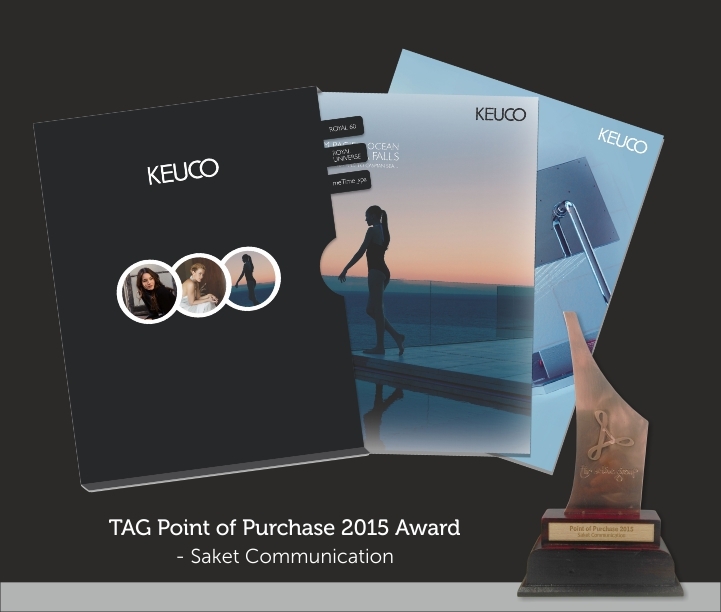 Ltd.
Pingback: KEUCO – A Campaign That Awakens Emotions | Saket Communications Pvt. Ltd.